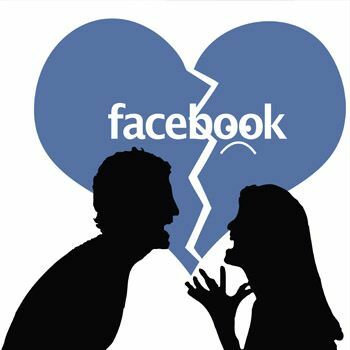 HomeTabloidRelationshipsIs Facebook Turning Us Into Relationship Braggers? Every time you log onto your Facebook your news feeds will be filled with the bragger’s posts such as having an amazing time with friends at an expensive restaurant or waiting to take the business class seat to Hawaii. All those dinner, facial, shopping and get together updates by ladies simply show how ladies specifically brag about their relationship. Although this bragging is a pain for the people who go through it and it is giving a way to all the fakeness to penetrate into the system but then again who would want to update bad feelings and show it to the world on the social network. Research has shown that the social networking sites and specifically Facebook has created feelings of loneliness and dissatisfaction due to the impression that everyone else is happier and having more fun than you are having. Yes a girl who has just got into a lifelong relationship and has spent trillions on her wedding would love to upload a wedding picture from her photo shoot to show how amazing her relationship is; from the photo the expressions of the lady staring tenderly into the eyes of her best friend and lover show how beautiful their relationship is. On the other hand the friends of the bride and groom will type anything or everything that show maximum love towards them and well wishes for them. Although Facebook is a good networking site and sharing pictures is interesting but the Facebook guide for relationships suggest that by all means the pictures should not make others feel bad about their lives. All those ladies who love to upload their youth pictures such as the pictures showing how carefree they are at the age of 28 while they enjoy water sports in tropical waters. This picture not just shows and brags about her snobbish attitude but other negative aspects as well. Different cultures take this differently so Facebook guide would suggest that the cultural values are kept in mind while you use the social networking site. The ladies who keep showing how their next week’s schedule is all booked and they have managed to plan it well by managing to get the concert tickets of the best singer and booking a dinner table at the impossible to get into new sushi spot along with the birthday bashes they have to attend. The entire bragging promotes that the guide for Facebook needs to specify that no one might be interested to know what your schedule is. By telling people you schedule you might just upset them. They say sharing is caring but everyone forgets to mention that sharing the positive thoughts, emotions, practices and activities is caring not the negative ones. Share good things but good enough that create negative feelings in others. The relation guide for Facebook or the guide for Facebook should be compiled with rules to post the updates on Facebook; increasingly snobbish and fake Facebook posts should not be allowed to post because with all the evil in the world already existing in the world we definitely don’t want Facebook to be one more way to add up to the negative feelings of the people.